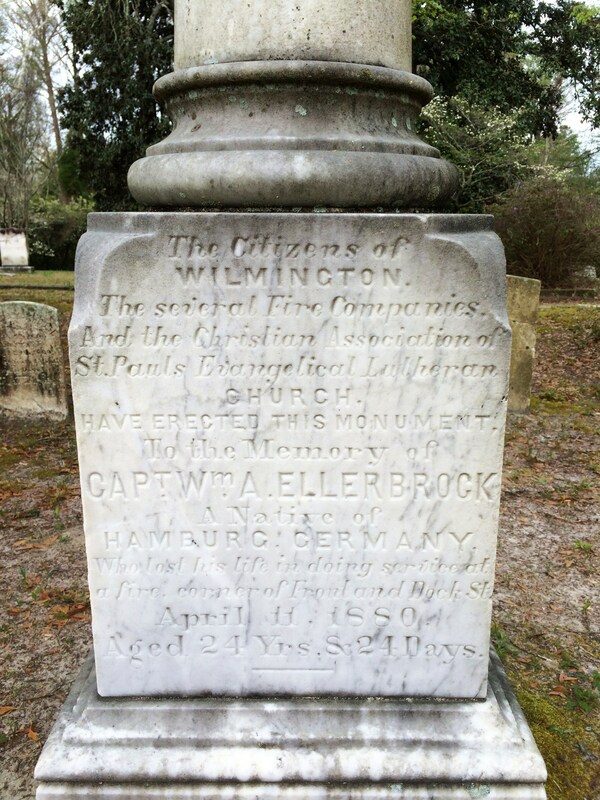 What makes this grave particularly of interest to me is the tragic story of how Ellerbrock and his dog Boss were buried together, making them as inseparable in death as they had been in life. 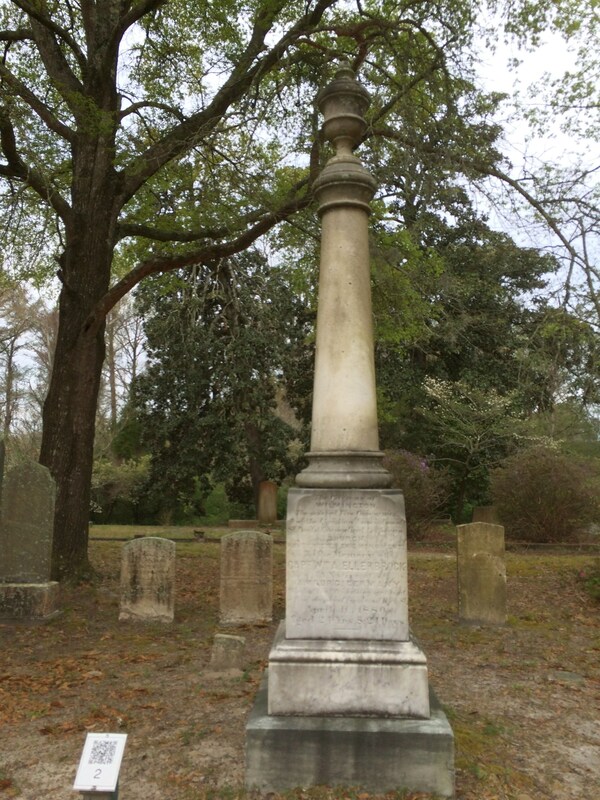 Ellerbrock’s unusual burial arrangements rank him among the more “famous” burials at Oakdale and because of that accounts of the fateful night differ. The basic elements of the story are the same which suggest that at least those details are facts and not embellishment for better storytelling. 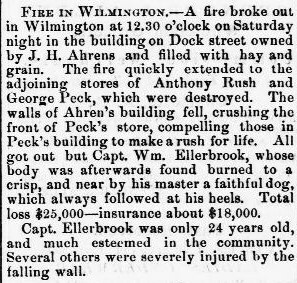 After midnight on April 11 a fire erupted in a storefront at the corner of Front and Dock Streets and Ellerbrock was among the volunteers who answered the fire alarm. According to some versions a bystander was charged with keeping Boss away from the inferno but upon hearing Ellerbrock’s cries, escaped and rushed into the burning building. His heroic gesture was for all for naught, as the captain was either pinned beneath a rafter or in the process of being burned alive. When the two bodies were recovered Boss allegedly held a shred of Ellerbrock’s clothing in his mouth, evidence that he’d tried to pull the captain to safety. Meet Esther. 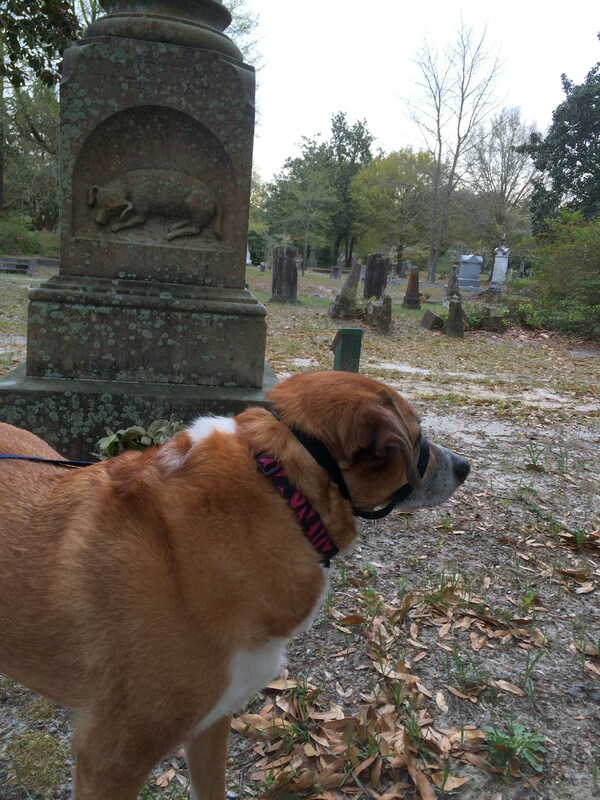 Most cemeteries don’t allow dogs so Oakdale was a rare treat for both of us. The following isn’t related directly to this grave but I find it very appropriate. Unless otherwise noted, all content 2012-2018 © The Dead Bell. All rights reserved. W.W. Pool: The Richmond Vampire? The Dead Bell Create a free website or blog at WordPress.com.